Teel James Glenn's Thoughts from behind the sword and the pen! A brand new one from Tommy Hancock! Rising from Forgotten Four Color Origins, Characters of All Types Live Again in a shared World of Their Own! PULP DOMAIN, an epic concept reviving obscure comic book characters in the Public Domain as modern Pulp Heroes and Villains, brings the weird and wild, the brave and unbelievable, the vile and out of this world to life once more, thanks to concept creator and award winning author Tommy Hancock. Empire City is home to Jay Brooks, a one of a kind for hire social worker in 1947. Raised in the most dangerous part of the city, Jay works to better the lives of anyone in need of his services, especially those who can afford him. Working cases somewhere between too unusual for the police and too dangerous for even private eyes, Jay knows Empire City in all its facets, its brightest lights and its darkest shadows. When the wife of a wealthy Empire citizen comes to Jay to help her sister escape an abusive husband, Brooks finds himself face to face with Empire's biggest criminal, but lines blur quickly as bullets begin to fly. Family matters may prove deadly for Jay Brooks in OPERATION: BLOOD IS THICKER. 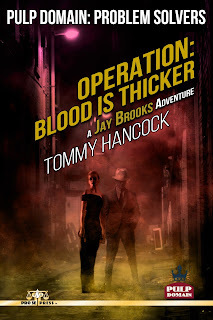 OPERATION: BLOOD IS THICKER is Book One of Eighty, the first short story of eighty to be released over the next year establishing the good and bad guys and all that fall in between for the shared universe of PULP DOMAIN. Concept created and written by Tommy Hancock. 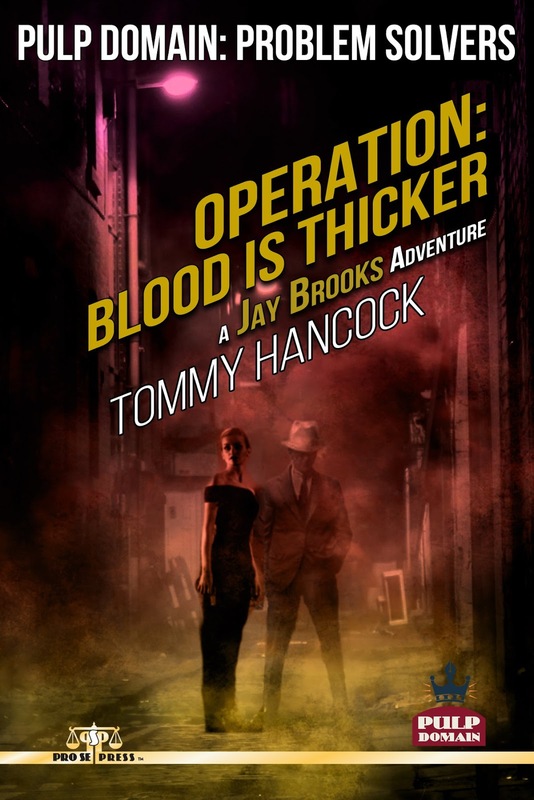 Featuring a stunning cover and digital formatting by Antonino Lo Iacono and Marzia Marina, OPERATION: BLOOD IS THICKER is available on the Kindle for 99 cents at https://www.amazon.com/dp/B07P6VNZTZ/ref=sr_1_1…. Kindle Unlimited Members can read this first entry in PULP DOMAIN for free. For behind the scenes articles, sneak peeks, and more about PULP DOMAIN, go to and like www.facebook.com/PulpDomain. 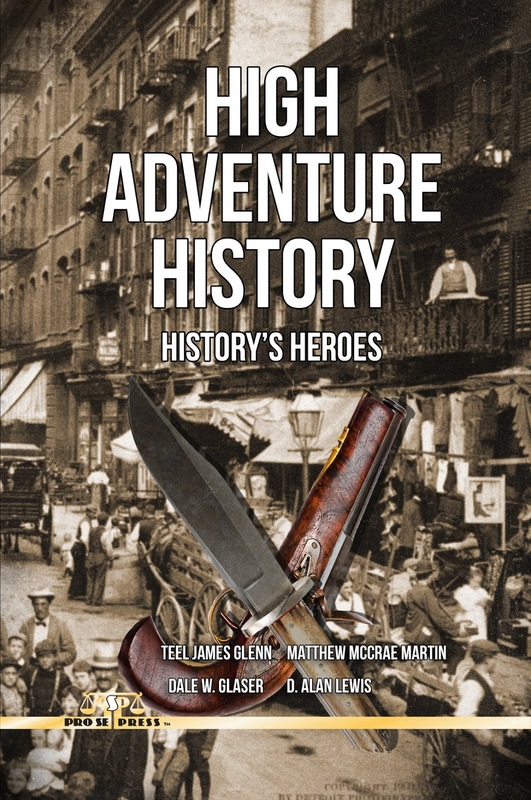 Hereis a new collection of "might have happened' tales from history-- in which I have one of my favorites "Jim Bowie and the Bean Stalk" about a real life hero of mine!!! From Pro Se Productions-- find it on Amazon! 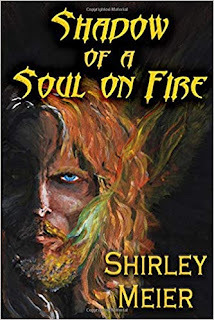 Shirley Meier’s Shadow of a Soul on Fire is not an easy book to read, but it is a good one and an important one. Not that it is not well written; for it is. The prose are solid, at times touching on the poetic, but it is a story that goes from the horror of a an evil emperor’s existence to his literal cleansing of his soul and the eventual expiation of his guilt and pain. It is the confronting of that guilt in the beginning of the book that makes it hard to get into, but I can tell you as one who pushed on, it like the pain it lines gets better; much better. It is ultimately a book about triumphing over evil both internally and externally. It is about love conquering hate and is a book for all who have suffered to reaffirm that they can be healed. Not that it is not delightful in parts—most notably the arrival of the uplifted, intelligent elephants- called delightfully Rummummalos- and their interactions with the humans ‘strange’ customs. This is a world so completely created that it is an immersive trip into not only a nightmare, but a dream- for the world the scarred and suffering Emperor Ahmiraz falls into is one we all aspire to end up. I heartily recommend this book to any one who has suffered or who needs hope that it all gets better. Because it does. 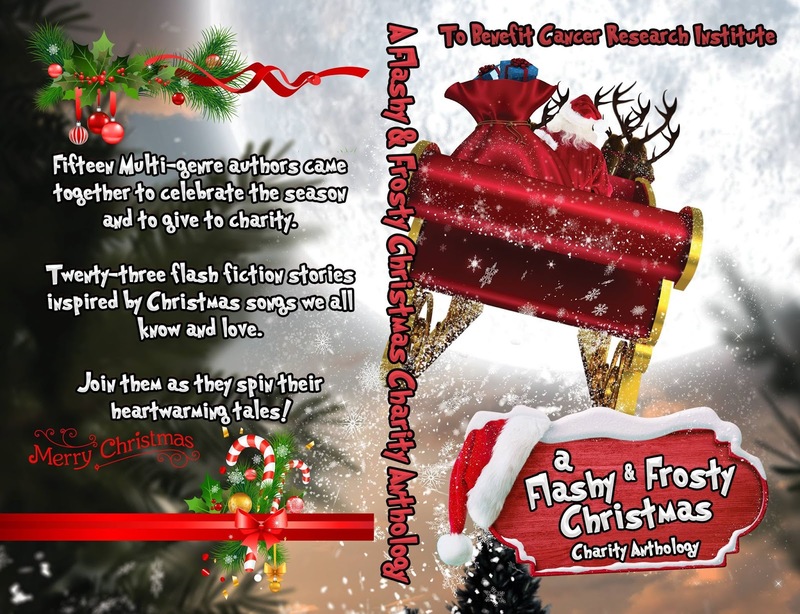 a holiday anthology for charity-- that is FUN! Trying to recreate the feel of old pulp adventures, especially introducing a series character, can go one of two ways:1. The writer tries too hard to be clever and infuses the character and series with nods and winks.2. The writer actually hits the marks of the genre and never oversteps the bounds of the books it’s trying to be like. 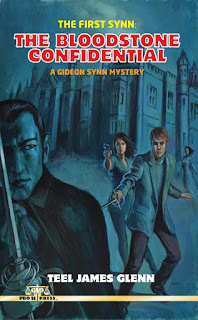 Teel James Glenn’s THE FIRST SYNN: THE BLOODSTONE CONFIDENTIAL, the first entry in the Gideon Synn series, thankfully falls into category two. This feels like it could have easily been on the newsstands next to some of those old Street & Smith series. 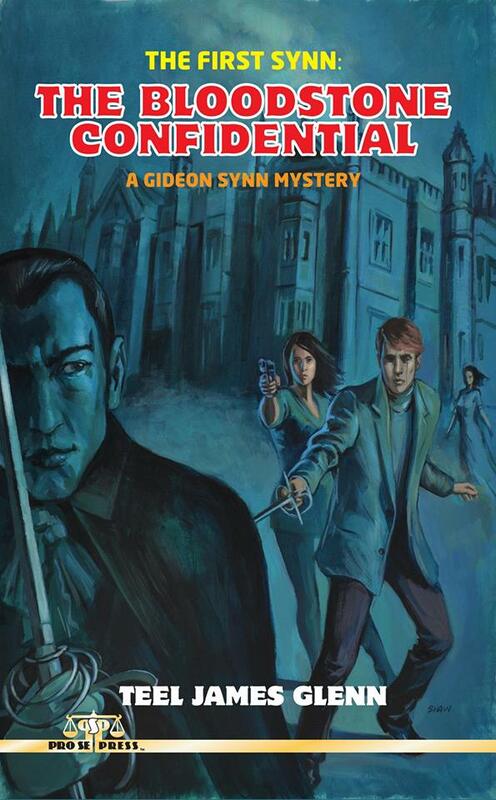 Gideon Synn feels like an old pulp archetype, a mixture of Doc Savage and The Spider. That’s not to say the character is aping those two — just that the pulp heroes of that time are definitely an influence. The story focuses on Synn and his team as they are called upon by Charity Bloodstone. It seems the women in her family have been cursed, in that at the age of 25, they die, usually killed by a The author really has a feel for the old-school pulps, while also giving us a nice little mystery. Not to spoil the story, since it’s a rather short and extremely quick read, but Glenn throws a little surprise at the readers at a great point so it doesn’t come out so cut-and-dry, so to speak, while also providing great character development of Synn and his team.